Additional Info: Outdoor Gas BBQ available to use on patio area which has table and four chairs and cantilever parasol. Families preferred. Sorry no pets and strictly no smoking in the caravan. My rental prices are always cheaper than those on line at parkdeanholidays.co.uk. so you can check before hand to get a rough idea. 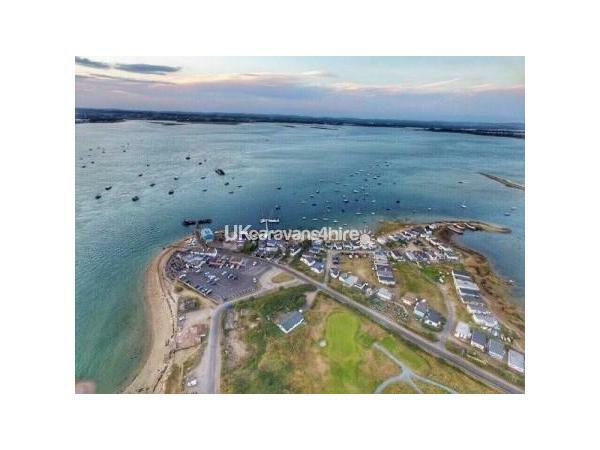 GUIDE PRICE for school summer holidays is £550 for 7 nights Sat to Sat and 4 nights Monday to Friday at £375. SECURITY DEPOSIT The £50.00 requested is a refundable deposit in respect of any missing items, damage or breakages or if excessive cleaning is required. The Parkdean site has excellent facilities with the Reef Showbar offering family entertainment and kids club, Palms Restaurant and bar offering hot and cold food and Costa Coffee, takeaway, launderette, on site shop. 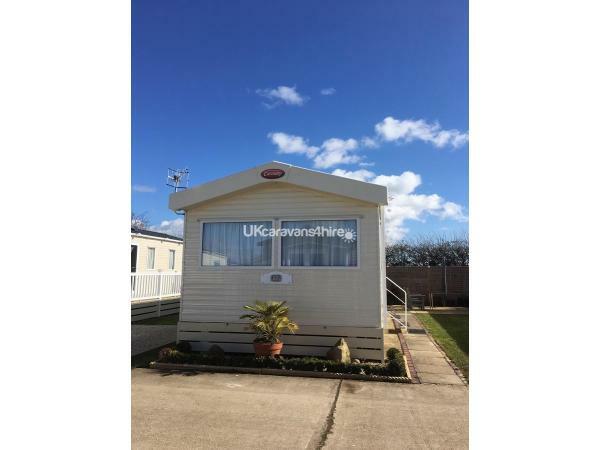 The caravan is situated one mile from the seafront where there is a funfair and amusement arcades. There are lots of nice places to eat nearby. Please telephone Lynn on 07780608024 for availability. Excellent caravan, it was like a home from home. We loved our stay here. Great communication with the owner as well. Definitely recommended. Lovely area as well. 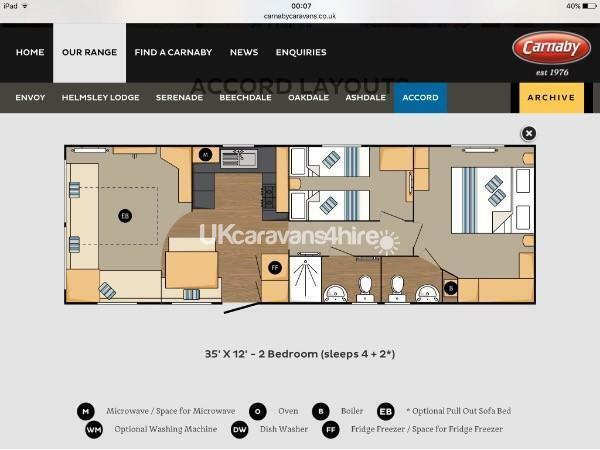 Well what a lovely home from Home caravan.. I’ve stayed in many and this one is the absolute best for everything. Cleanliness, modern . The owner supplied videos, books kitchen essentials.. travel cot/highchair at no extra cost, lovely patio area. The park has two pools and well supervised by lifeguards . Club house decent with security on the door for your child’s protection. kids loved the arcade and entertainment. Drinks in club house very reasonable too. The owner is always a phone call or message away if you do come across any problems . Take a walk to The Barley Cow down the road it does a decent roast dinner any day .. would definitely recommend and rebook again . WOW!!! What can we say Brilliant caravan, everything you need right down to salt & pepper! Beautiful, quiet location on site and not far to go to clubhouse for Bingo! Swimming pools indoor/outdoor and spa pool. 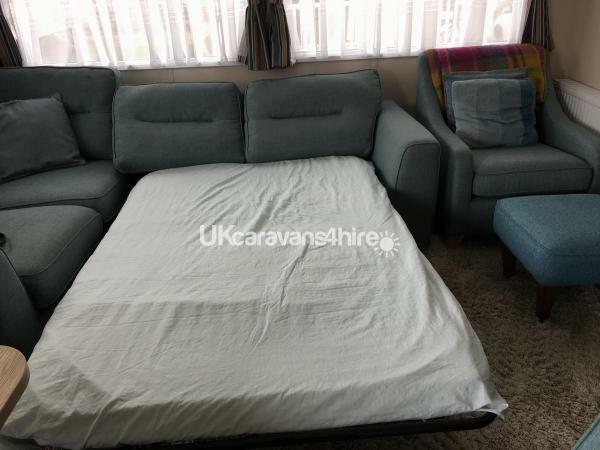 It really was a great caravan and Lynn the owner was available any time you needed her, very very helpful, so thankyou Lynn. Cannot wait to rebook again. Just come home from another two week stay in this lovely caravan. So comfortable and clean. Cannot wait to book again. Stayed in this caravan for a week in late October. 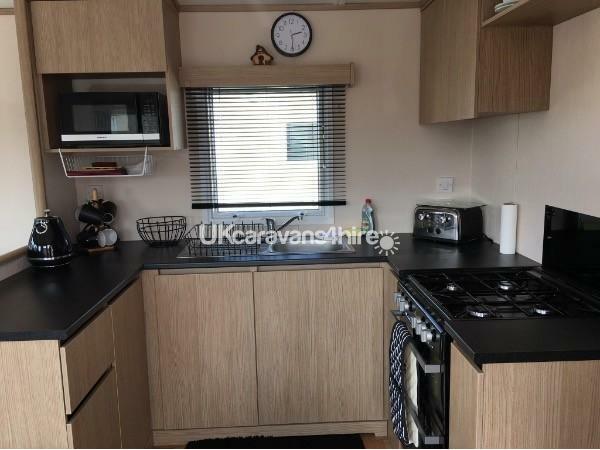 The caravan is very clean and comfortable and the kitchen is very well stocked. The caravan has everything you need for a holiday including a good selection of DVD's. Ease of booking and communication with Lynn was excellent. Lovely site and an excellent base to explore the region, I would definitely recommend staying here.